There are currently not one but two Liechtenstein princes married to members of the Kálnoky de Kőröspatak family: Prince Constantin, third son of Prince Hans-Adam II, married in 1999 Countess Marie Kálnoky de Kőröspatak. Already in 1995, Prince Emanuel, Constantin's fifth cousin and brother of Liechtenstein's ambassador to Germany, Prince Stefan, had married Marie's older sister Countess Alexandra Kálnoky de Kőröspatak. Reason enough to trace a bit of their family's history. The Kálnokys are one of the oldest magnate families of Transylvania. Their ancestor Akadás was the first chieftain of a Szekler tribe to appear in history. The Székelys are a subgroup of the Hungarian people living mostly in the Székely Land, a historic and ethnographic area in eastern Transylvania in today's Romania. In the Middle Ages, the Székelys, along with the Saxons, played a key role in the defense of the Kingdom of Hungary against the Ottomans. The Kálnoky family was firstly mentioned in 1252 as "comes" (chief) of the Szekler 'Sepsi' tribe in the person of Vincent Kálnoky, Akadás' son. The family reached comital status within the Holy Roman Empire through Sámuel Kálnoky (1640-1706). He became the first chancellor of Transylvania in Vienna and was created Count Kálnoky Baron of Kőröspatak in 1697. The family is usually known by an abbreviation of their title, Count Kálnoky of (de or von) Kőröspatak. In the following decades, the Kálnokys made a number of advantageous marriages to daughters of noble families on the verge of extinction, thus considerably increasing the family's assets and influence in central and western Europe. Apart from their rather smallish ancestral homes in the Székely Land, the Kálnokys also owned three large estates in Moravia and today's Slovakia by the end of the monarchy in 1918. At the beginning of the 18th century, through multiple marriages, the Kálnokys became close to Prince Constantin Brâncoveanu, ruler of Wallachia. An entire generation grew up in Bucharest at the prince's court and held public functions there. Through Countess Claudine Rhédey de Kis-Rhéde, grandmother of Mary of Teck, consort of King George V of the United Kingdom, the Kálnokys are actually even ancestors of the British royal family. In 1741, Count Antal Kálnoky, Sámuel's son, established the first Transylvanian regiment of hussars to help Empress Maria Theresia in the Austrian war of succession. The regiment, which was also named after the Kálnoky family, remained in service until the end of World War I and thus end of the Austro-Hungarian empire. He was the last to successfully apply war tactics inherited by the ancient Szekler riding tribes of the steppes, during the 7-year-war. For the next two hundred years, the family served in military and political posts under the Habsburg rulers. 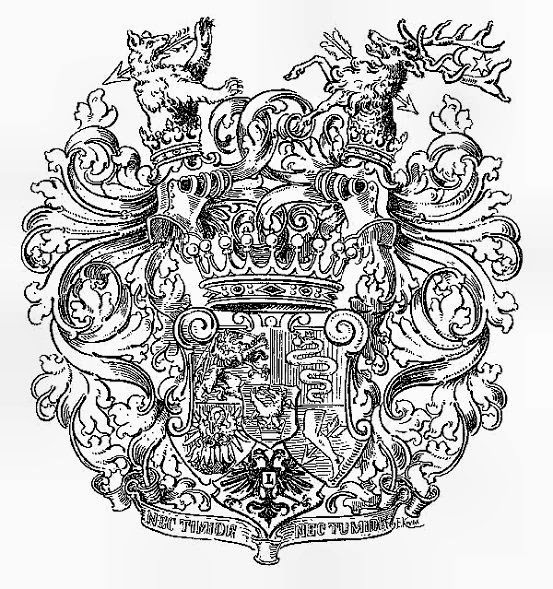 The Kálnokys were one of the 64 comital families who had a hereditary seat in the House of Lords in Vienna. The probably most famous member of the family was Count Gustav Kálnoky, who presided over the joint (Austrian and Hungarian) council of ministers, was minister of the Imperial House and of Foreign Affairs under Emperor Franz Joseph I. Gustav's brother Hugo Leopold was considered the best and most famous horseman in the whole empire. Towards the end of the 1930's, one branch of the family was banished from their ancestral homes in Romania by the government for allegedly spying for the Hungarians. They moved to Budapest but later fled due to the Nazi invasion, then based on the Commununist take-over. One of their descendants, Count Tibor Kálnoky, has returned to Transylvania and even runs the Prince of Wales' guesthouses there. Another branch of the family also lost there possession in what today is Slovakia after World War II but has returned for their daughters' weddings to Csicsó (Číčov) since the fall of communism. And thus, also two weddings of Liechtenstein princes took place there.